If you have spent time and money working on niche marketing, but have ignored “microniche” marketing, you have missed many great opportunities to increase your sales. There are some simple steps and programs on the market that will help you drill down into your niche and open the door to a whole new set of potential buyers. If you focus only on the broader niche market, you are likely not reaching people who are looking more in depth at a particular product or service. 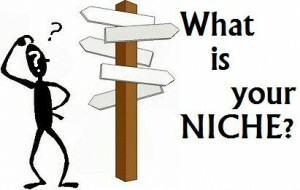 By ignoring microniche marketing, you are advertising to a somewhat broad niche, but may never be seen by someone who is searching for a particular product or service who’s search terms do not exactly match your niche. There are many people searching for very specific search terms, so creating a niche, then drilling into the niche and getting very specific withit, will yield you tremendous profits. Diversity is the key to success with niche marketing. Below are some steps take that will help you identify some excellent markets, products, and search terms to focus on. By using software to automate your search, you will be greatly speed up the research process, therefore allowing you to market many microniche search terms, rather than just your broad niche market term. By digging into each niche and working the more specific terms, you will have many more search terms generating income for you. For example, if your niche is environmentally friendly products, your microniche may include terms such as: Hybrid Vehicles, Wind Energy, Recycled Products, Energy Efficient Appliances, Green Cleaning Products just to name a few. Create a seperate file for each niche (notepad, word, or paper). On the top of the page, write the name of the niche you are considering. Create as many pages or files as you have niche ideas for. On each page, brainstorm… Write as many specific microniches as you can possible think of. Even if the idea seems crazy, add it to the list. If you start with too specific of a niche, you will have limited results. Go online and research your niche. Now that you have used your brain to create your lists, let the internet help. Use your favorite search engine (ie. Google, Yahoo, etc…) and start by searching your niche market. Open some of the sites and read. By reading the content of the sites, you will find additional more specific terms to add to your list of nichemarkets on each page. Once you have gotten ideas from several websites by searching your original niche title, now use the search engine to search each of the more specific microniche terms you listed on the page. By using the search engine to read about each of the specific terms you listed on the page, you will find tons of additional terms to add to your list. Now that you have several pages with a niche at the top, and several microniche ideas listed on the page, you need to research and see which of the niche markets you can be successful in. You can do everything yourself manually, which will require hours of work, or you can use software such as MicroNiche Finder which will greatly increase your productivity by helping you discover if a term is a goldmine or a dud within seconds. Either way, you need to research and only work with the terms that you can be successful with. For manual searches, you can use tools such as Google’s Keyword Research tool. If you sign-up for a Google AdWords account (which is free), you will get 8 times the search results, either way, you will get great data. I personally recommend using a research software like MicroNiche Finder because it will do most of the work for you in a fraction of the time. What may take you 30 minutes or more manually, can be done in seconds using software. If you are ready to take your niche marketing to the MicroNiche level and generate a tremendous income with a lot less work and effort, click here to find out more about the software I have recommended. Software can help you discover those terms that many people have overlooked, and open the door to great success. This entry was posted in Internet Marketing and tagged micro niche, micro niche finder, micro niche sites, microniche by John Williams. Bookmark the permalink. Dentistas, thank you for the kind and encouraging words. I guess the answer would be years of trail and error. I have been working in network marketing since the 90s, and have discovered that just when you think you have learned everything… you barely know anything. Over the years I have discovered or learned different techniques that may work great for while, then someone discovers a way to make it even better, and the original method is not as effective, so you have to adapt. Frustrating… yes, but it keeps you on your toes. I have enjoyed great success over the years, and I have had many great mentors (and still do) guiding me. I always look to the successful people to see what they are doing. I now find myself having people looking to me to see what I am doing as well, and I enjoying giving back as much as I can to help other people be successful. The purpose behind anything I share is to help other people benefit and learn. Over the years I have discovered that in just about any online marketing or networking, you can either do everything yourself (manually), or there is usually a program or software to make things much faster and easier. To join the program or purchase the software usually cost money, so I try to share information on both methods when I can. When I started, I did not have much money to spend automating and making my processes easy, so I took the extra time and effort to do things as manually as possible. Then, over time, I was able to start adding programs and software and enjoying even more success, so that is what I try to share with others, no matter where in the process they want to start. Thank you again for your comment, and if you ever have any questions or comments, feel free to contact me. Be blessed! You have the mnoooply on useful information-aren’t monopolies illegal? really your blog have nice post so i became a permanent visitor of your blog. I’m out of laeuge here. Too much brain power on display!